Tokyo Gas Wonder Ship and PS Higashi Fuchie in Tokyo and etc. I really like these elastic materials. Furthermore, they are made by natural ingredients. I cannot stop refraining to make space with this material, indeed. I totally like that! 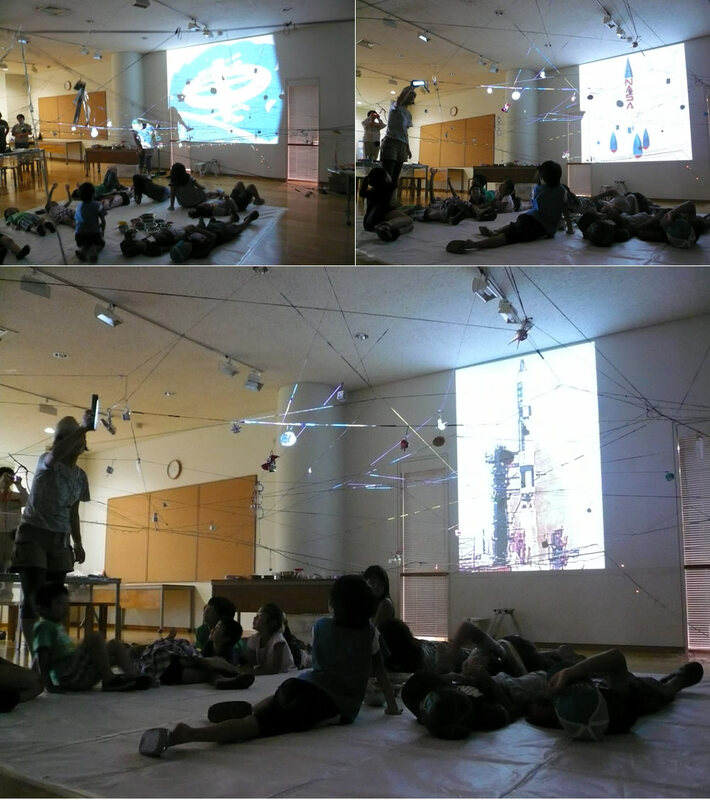 This was the special workshop "let's create Cosmic Space with elastic bands"at Tokyo Gas museum in Kawasaki in 2011.
and imaged the space as "cosmic space" to hang their art pieces. the tremulous movements were really interesting. 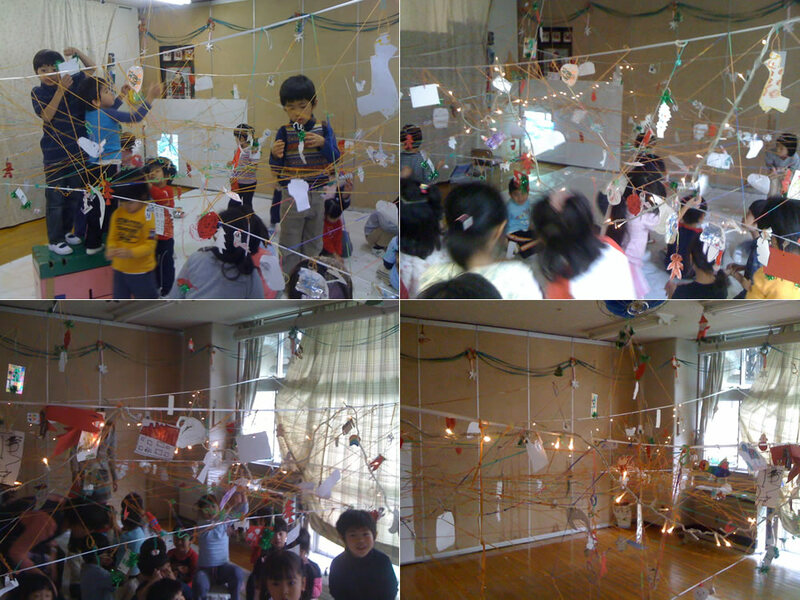 So every workshop I took some time for children to feel whole space that they made and the rubber bands webs' movement after finishing workshop. 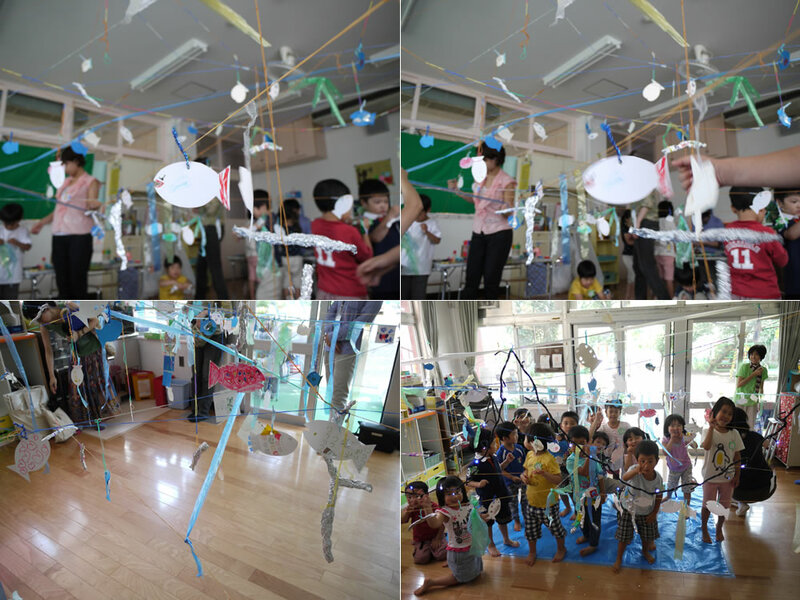 This was the project workshop in the public nursery in Tokyo for two days. Theme was "Let's create winter days with rubber bands". 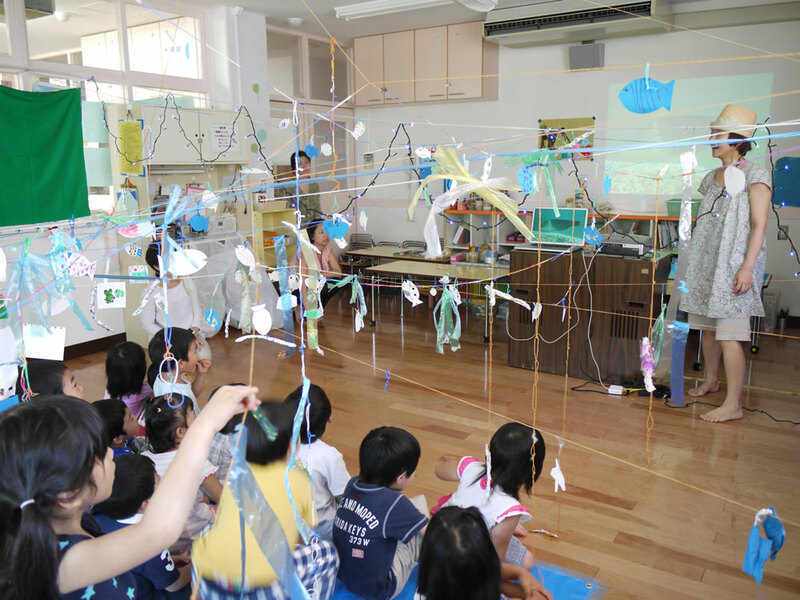 This was the project workshop in the public kindergarten in Tokyo. Theme was "Space with fish".